The D-Link DGS-1210 Series is the latest generation of Web Smart switches to feature D-Link Green technology. Equipped with 10, 16, 24, or 48 10/100/1000Mbps ports and two or four combo 10/100/1000BASE-T/SFP ports, the DGS-1210 Series integrates advanced management and security functions that provide performance and scalability. Additionally, the 10/100/1000Mbps ports on the DGS-1210-10P are PoE enabled, offering ease-of-use and green features such as PoE scheduling, which allows for the power to be shut off at a pre-determined time. 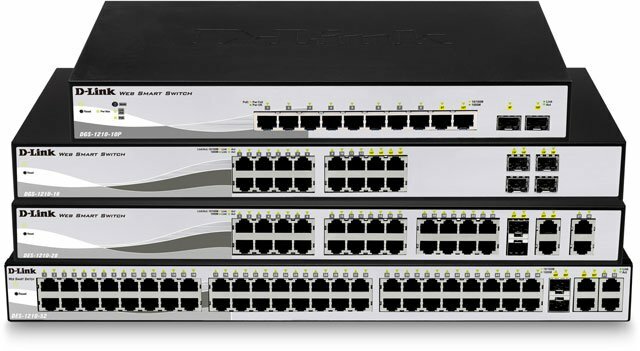 Management options for the DGS-1210 Series switches include SNMP, Web Management, SmartConsole Utility, and Compact Command Lines. The DGS-1210 Series also supports ACL filtering and the D-Link Safeguard Engine. The D-Link DGS-1210-10P is also known as DGS-1210-10P	or DGS121010P	.